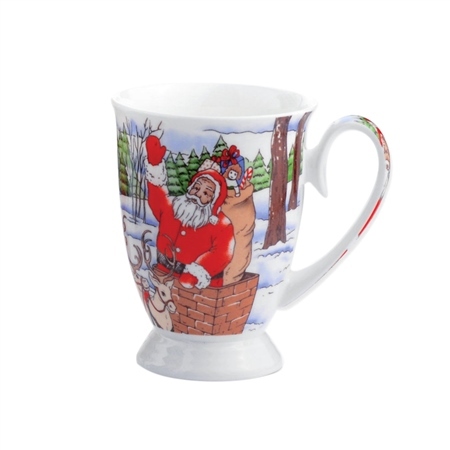 Add festive flair to your home this year with this bone china mug, giving you every reason to celebrate a Christmas full of joy, light and happiness. Each piece is designed and created magnificently, ideal as a token to be cherished and treasured as a Christmas keepsake. Newbridge Silverware fine bone china with Christmas scene detailed mug presented in a Newbridge Silverware Christmas gift box. 85mm x 110mm.